Today, the technology is developing so rapidly that, by the time we decide what to learn, that thing gets outdated. The main reason and the driving force behind this incredibly fast development is computers. By the term computers, I mean everything that has the ability of computing: Your calculator, your phone, your PC, your fridge, etc.. Although the hardware of the devices provide the necessary power, these devices require some sort of software to accomplish the computing process in an efficient way. This is the point where programming languages were born. In the 1940s, the first recognizably modern electrically powered computers were created. The limited speed and memory capacity forced programmers to write hand tuned assembly language programs. It was eventually realized that programming in assembly language required a great deal of intellectual effort and was error-prone. Due to these restrictions many different programming languages were created for different purposes throughout the history. 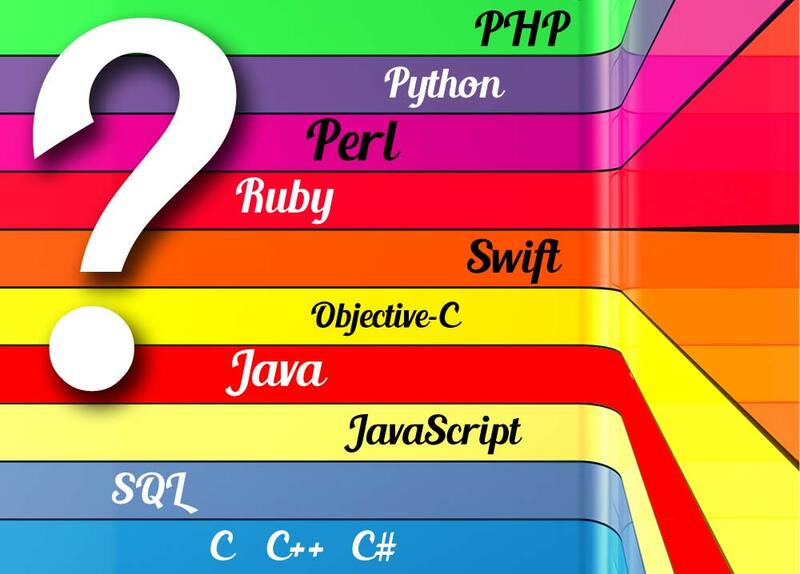 In this post we are going to look at a few of these programming languages one by one, give their weaknesses and strengths. Also we will pick some of these languages for you to start learning, for those ones who don't have any experience in programming. Please take a look at the poll below to vote for the first programming language that you have learned. When you first start learning a language, let's say Italian, it is always hard especially if you do not have any knowledge on similar languages such as Spanish. This is valid for programming languages as well. But if you begin by learning one or two languages and actually master them, you’ll find it easier learning more programming languages. In this post, we’ll talk about ten mostly used programming languages in 2016. This list changes over the years but there are a few programming languages in this list that will stay in this list for years and years. However, I really do not want to call this list a ranking because all of these languages are the best ones in their own application areas. Let’s simply refer to it as programming languages you should learn if you’re planning to learn. Java is a general purpose, high-level programming language developed by Sun Microsystems. A small team of engineers, known as the Green Team, initiated the language in 1991. Java is an object-oriented language similar to C++, but simplified to eliminate language features that cause common programming errors. Java source code files (files with a .java extension) are compiled into a format called bytecode (files with a .class extension), which can then be executed by a Java interpreter. Compiled Java code can run on most computers because Java interpreters and runtime environments, known as Java Virtual Machines (VMs), exist for most operating systems, including UNIX, the Macintosh OS, and Windows. Bytecode can also be converted directly into machine language instructions by a just-in-time compiler (JIT). If you’re interested in constructing apps for iOS, then you have got to understand Objective-C language. The foremost most well-liked selection for all the online developers is Objective-C. Once you have mastered Objective-C, you’ll begin applying XCode that’s identified to be the licensed code development tool from Apple. Another in style programming language is Ruby and Ruby on Rails. Ruby is generally learned easily by the starters. It’s additionally terribly sturdy and clear-cut. If you’ve little time in hand and still need to craft any project, then you’ll for sure utilize Ruby language. This programming language is applied massively for internet programming, and is often the best choice for the beginner corporations. C is one of the oldest and the fundamental programming languages. Being the oldest, it should be learned first of all once you get comfortable with other programming tools. It’s chiefly applied in forming completely different software. C++ may be a bit additional progressive than C, and utilized vastly in forming hardware needing speed for games. Unlike C, which has a functional structure, C++ has an object oriented structure. It’s a perfect choice for sturdy desktop code similarly as apps for mobiles and desktop. Identified to be the strongest language, C++ is applied in important operating systems, like Windows. After learning these two, you’ll likely want to make use of the C# language. It shouldn’t be difficult for you to become accustomed with C# once learning C and C++. C# is truly the prime language for Microsoft applications and services. If you’re going to work with .Net and ASP technologies, you need to be acutely aware of the C# language. Perl is additionally a well-accepted programming language that provides distinct tools for varied obscure setbacks like system programming. Although this programming language may be a bit puzzling at first, it’s a very powerful one that you can learn this year, and improve your knowledge later. Perl is especially used for sites and internet app growth, desktop app development and system administration. And take a look at automation that may be applied for testing databases, web apps, networking devices, and lots of additional operations. What is the best programming language to learn for beginners?